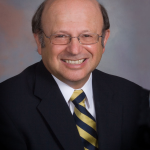 Frank J. Ascione is Professor of Clinical and Social and Administrative Sciences, University of Michigan College of Pharmacy. He was Dean of the College from 2004-14 and has been a faculty member there since 1977. He received his BS, PharmD (College of Pharmacy) MPH and PhD (School of Public Health) degrees from U-M. Dr. Ascione started his career as a hospital pharmacist and was Director of the American Pharmacist Association Program (1973 to 1976) that produced the second edition of Evaluation of Drug Interactions. He has won several awards for educational innovation, including one from the Smithsonian Institution. Dr. Ascione’s past research has included evaluation of various models of medication therapy management, consumer medication taking behavior, and the use of technology in pharmacy practice. His current research focuses on drug policy, specifically the FDA regulatory process and health care institutional decision making. Specific projects include examining the decision making ability of Pharmacy and Therapeutics Committee and the impact of Direct-to-Consumer Advertising. He has over 90 publications on these subjects, including authorship of the publication, Principles of Drug Information and Scientific Literature Evaluation: Critiquing Clinical Drug Trials. He is listed in Who’s Who in America and is the recipient of the Michigan Pharmacist Association Executive Board Medal and Pharmacist is of the Year awards. He currently teaches a course on issues in regulatory science and was recently appointed Director of the Michigan Center for Interprofessional Health Education and Collaborative Care (MiPHECC), which is intended to transform educational practices among the University of Michigan Health Science Schools.